The late, highly-revered producer James “J Dilla” Yancey left an indelible mark on Hip Hop culture. When the Detroit native passed away due to complications stemming from lupus in 2006, there was an undeniable void that could be felt throughout the community. Dilla’s mother, Maureen “Ma Dukes” Yancey, who has been instrumental in keeping his memory alive, stopped by Hot 97 yesterday (September 27) to discuss her son’s legacy with Peter Rosenberg and announce the forthcoming children’s book, a biography of J Dilla’s life entitled The Life Story of James Dewitt Yancey. During the nearly 25-minute interview, they covered his illness, Stones Throw Records, The Smithsonian‘s J Dilla exhibit, and what it felt like to lose her son so early. The Life Story of James Dewitt Yancey hits the shelves November 22 and pre-order is available now. The release is also accompanied by an audio book, which is narrated by Ma Dukes. Check out the book cover art below. 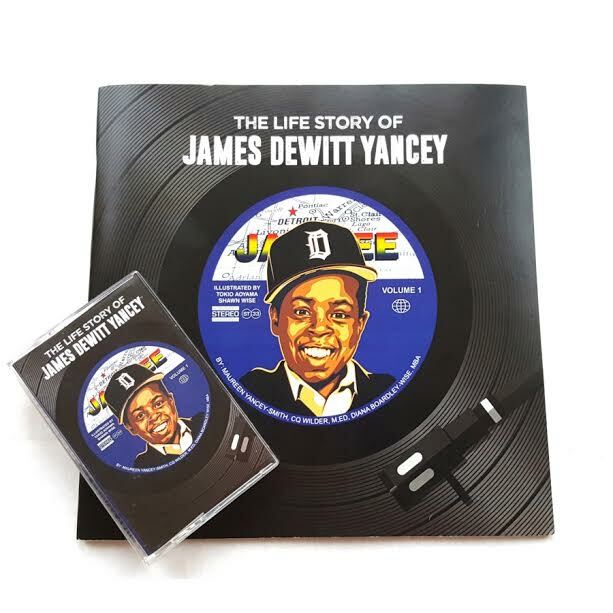 Share the post "J Dilla Children’s Book “The Life Story Of James Dewitt Yancey” Created By Ma Dukes"